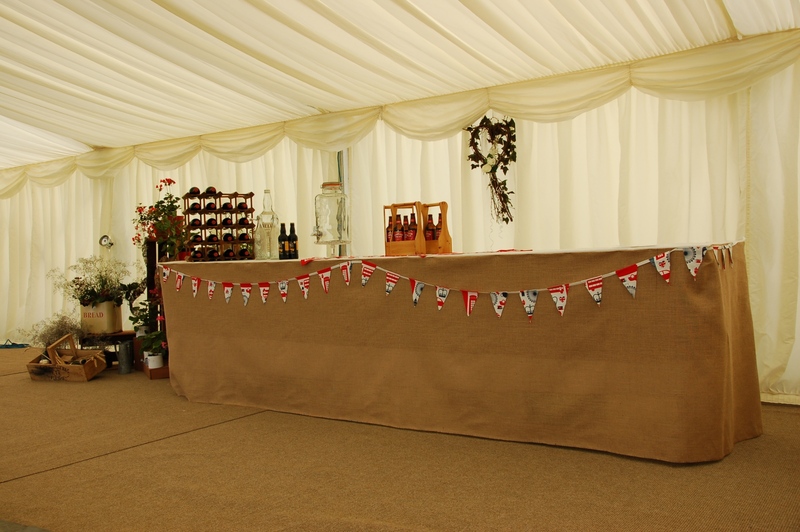 At Carron Marquees, we know how important the social gathering at the bar can be for your special event and if you are trying to achieve an overall effect, you want a bar that fits in with that theme. You want a bar that gets people talking and that is another fine detail that people will appreciate that you paid such close attention to. That’s why you need the LED Bar. More than just a clever way to help your event attendees and guests see where they are going in the dark, our LED bar is a great way to ‘light up’ your evening. 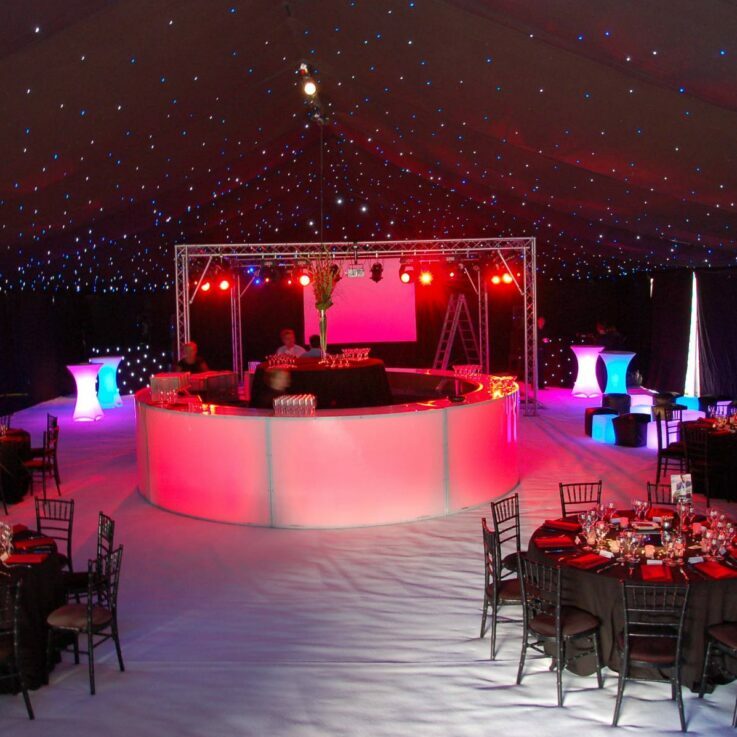 Our LED Bar can be illuminated in the light colours of your choosing to best fit in with the decor and overall theme of your event and provides a very striking and modern centrepiece for the whole thing. As well as fun and entertaining to look at, it may also encourage people to take to the dance floor – which is what you need if the evening is not really reaching the dizzy heights you would like. 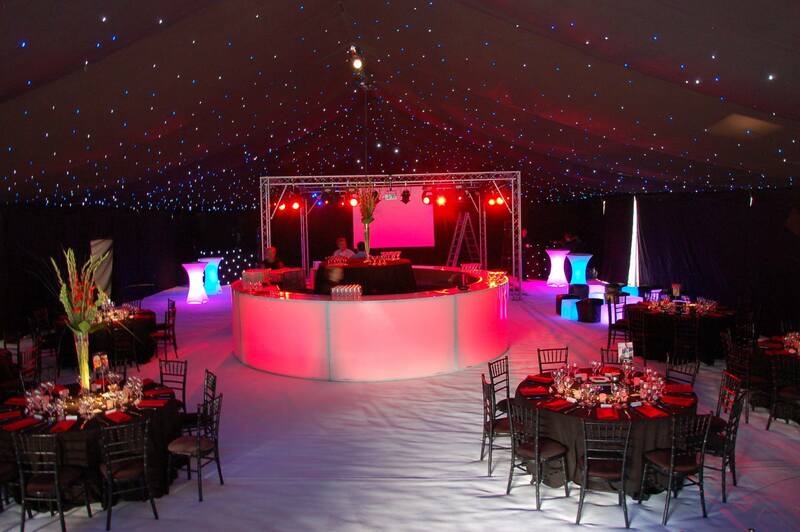 The LED Bar is available in curved sections and these can be joined up together to form up to a half circle. 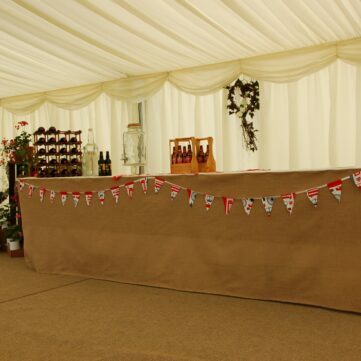 So there is lots of room to create interesting bar zones at your event. Each section of the bar measures at 1.8 metres in length and it is important to note that they do not include a back bar. 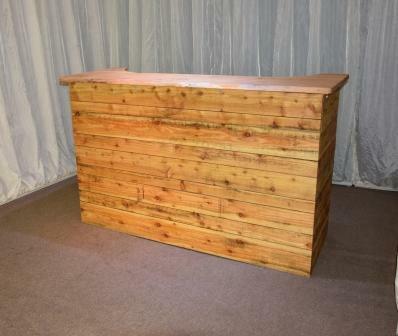 If you fancy something with a more natural and relaxed feel then our Rustic Bar is the perfect choice for you. 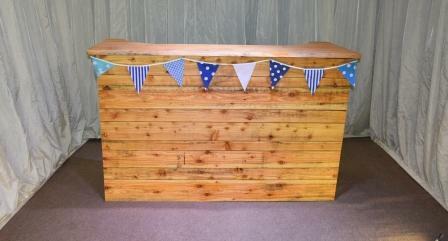 Our Rustic Bar is made from wood and looks stunning decorated in lights and flowers for that real English country feel. 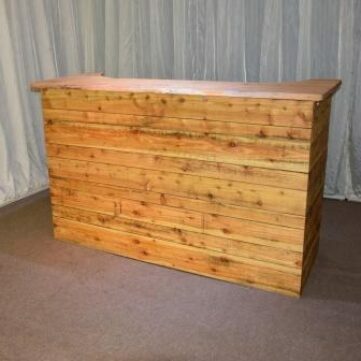 Our rustic bar is perfect for those looking to have a different style at their event, it is roughly 7ft long and looks great paired with our crossback or wooden folding chairs. This bar does not include a back bar. For an extremely personalised bar experience hire our high-top trestles, which can be decorated to match your theme and colour scheme. So what are you waiting for? If you want a great solution to providing drinks at your evening event or reception, you need something that is both practical and fun choose one of our stunning bars today!